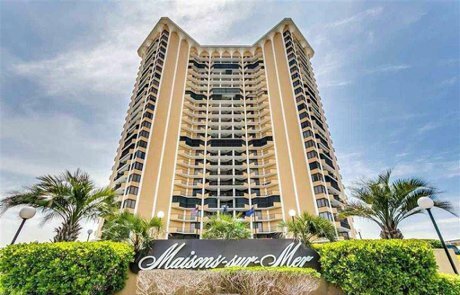 Maisons-sur-Mer is without a doubt the premiere oceanfront high rise condominium complex on Shore Drive. 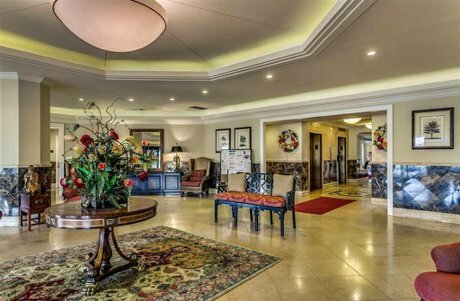 This luxurious resort is centrally located in the Arcadian Shores area of Myrtle Beach. Each condo in this prestigious oceanfront building allows you to enjoy panoramic ocean and beach views from virtually every room. These luxuriously appointed one, two, and three bedroom condominiums range in size from 1600 to 1800 square feet. Many people find that the luxurious condos at Maisons-sur-Mer represent not only an exquisite vacation home, but an excellent investment because of the great rental income these units generate. Maisons-Sur-Mer offers first class amenities including an Olympic-size pool, tennis courts, state of the art fitness rooms, saunas, a putting green, driving net, barbeque area with grills, oceanfront cocktail lounge, on-site restaurant, billiard room, card room, and library. You will also enjoy 24 hour security and private beach access from your Myrtle Beach condo. For additional information about buying Maisons-sur-Mer condos or selling a condo at Maisons-sur-Mer contact us today at 843-424-6900. Similar condos near Shore Drive include Margate Tower, South Hampton, and Royale Palms.